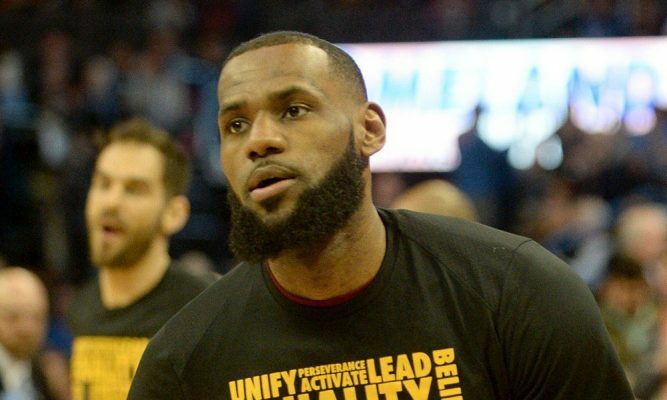 The opinions of Cleveland Cavaliers forward LeBron James about things other than basketball have generated a great deal of controversy over the past few days. During Saturday’s media day at the 2018 NBA All-Star Game, James again offered a comment that could be the genesis for more criticism. James spoke in frustration about Wednesday’s tragic school shooting in Florida that killed 17 people, many of them students at Marjory Stoneman Douglas High School in Parkland, Florida. While many may see James’ remarks as a sensitive approach to speaking about the deaths, it’s likely that supporters of the Second Amendment will take issue with the comments. That’s because in the past, tragedies of this nature have led to calls for tighter gun control laws, which those supporters vehemently oppose. Earlier this week, video James’ criticism of President Donald Trump led to conservative commentator Laura Ingraham‘s dismissive suggestion for James to “shut up and dribble.” James responded in subtle fashion by posting on social media a picture of a sign that simply stated, “I am more than an athlete.” The tweet also included a biting hashtag that made it clear that James won’t be remaining silent. Given the fact that Trump has nearly three years left in his term of office, it’s likely that James will continue to target him for more criticism. How much blowback James will receive in response remains to be seen.